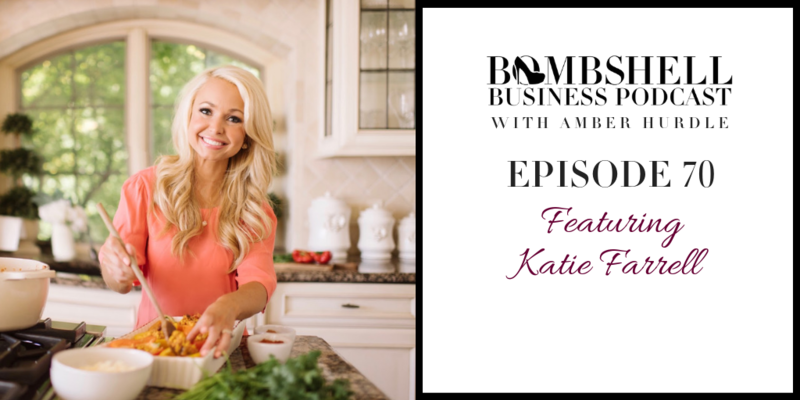 Katie provides practical advice that will help you feel better knowing you’re feeding your family well while not dropping the ball in your business. Listen to this episode before your next trip to the grocery! You’ll thank us later. Learn more about Dashing Dish’s membership program here. Check out Katie’s blog and find free recipes here. Download the Dashing Dish iPhone app here. A mother, cookbook author, registered nurse, and an eating disorder survivor, Katie Farrell develops delicious, simple, healthy recipes and shares practical tools, daily motivation, and workouts that help her readers create a plan to stay on track and live a healthy life – mind, body, and soul. 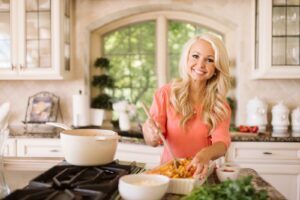 She is the founder of Dashing Dish, a monthly subscription service that provides meal planning tools, hundreds of healthy recipes, and step-by-step workouts to help you live a healthy lifestyle.